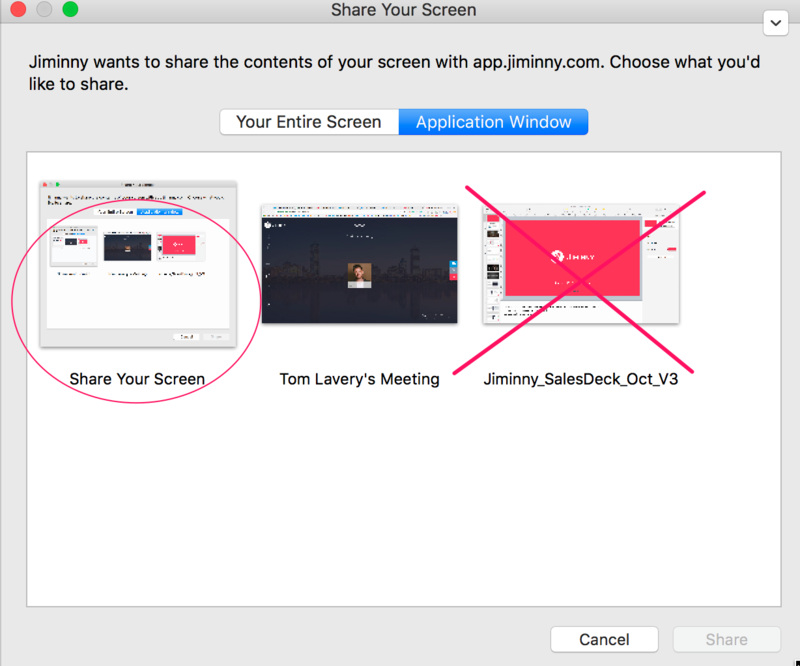 Your Jiminny conference can share a presentation in "Presentation Mode" using Google Doc Presentation, Keynote or PowerPoint only when sharing your entire screen. If you decide to share a specific window or app and go to "Presentation Mode," viewers will unfortunately unsuccessfully see a blank/black screen. In some cases, your screen sharing session may drop. We are sorry but we can not control this as it is a known limitation when sharing with Google Chrome.